What stories emerge to frame the visitor’s encounters with the art that they see, and cloak the art that they don’t? How do these stories change over time? A central feature of the exhibition is the LYC Museum & Art Gallery (1972-83). In 1972 the artist Li Yuan-chia bought a dilapidated barn in Cumbria from the painter Winifred Nicholson and lovingly renovated it to function as a museum that was both a centre for the local creative community, and the site of an inclusive and wide-ranging ‘Cumbrian cosmopolitanism’. 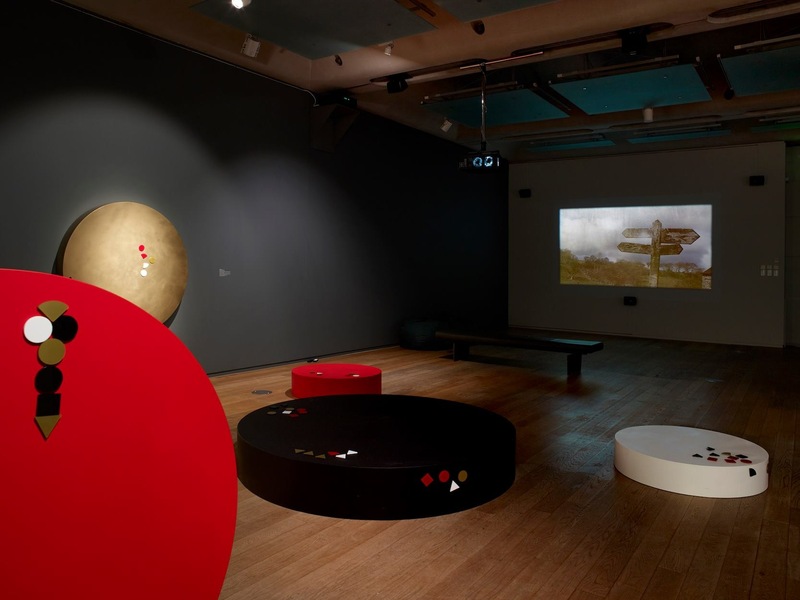 It exhibited more than 330 artists ranging from local practitioners to leading British and international artists.Speech Acts considers the LYC Museum as Li’s artwork, and as an early model for the spirit with which public art galleries could be run. Using the three tinted panes of glass in David Nash’s original window for the museum as a visual metaphor, the exhibition sets up three stages of enquiry:Reflection – performing the self How do artists situate themselves in relation to histories, expectations and those around them? Imagination – the sum of all.1 How do sites, networks and affinities shape artistic practices? The cities of Bradford and Manchester share histories as boomtowns of the Industrial Revolution and world centres of textile manufacture. This industrial expansion required significant immigration of labour, and generated vast riches. All four of the principal institutions lending to Speech Acts have a shared heritage in philanthropy made possible by this industrial wealth. Indeed, one of the major bequests to Manchester Art Gallery was by the Bradford industrialist and collector, Charles Rutherston (1925). These institutions, and the collections they hold, are both an expression of civic pride and a vehicle for reflecting and establishing a shared set of identities for the communities they serve.Speech Acts is an exhibition that contributes to the ongoing debates around the role of art collections and art institutions in public life. The origins of Manchester Art Gallery lie in the Institute movements of the Industrial Revolution, with a clear mission to provide creative education and discourse for all classes in the advancement of a healthy society. Through such work, the Gallery maintains the traditions of an active and progressive public forum, at the heart of the city – co-creating with their publics the story of their culture and assimilating new ideas to shape the future of civic life. For the duration of Speech Acts, the Clore Art Studio – Manchester Art Gallery’s space for families to be creative together – will also form part of the exhibition. It will channel the spirit of the LYC Museum’s children art room with displays, activities and workshops that explore the role of play in art, and reflect Li’s commitment to physical interaction as integral to the making of meaning, in life as in art. Also on display is a new film commission, Space & Freedom from artist film-maker Helen Petts. The work mixes archival film by Li with new footage of the LYC museum’s site and setting shot by Petts herself. The film also includes two previously unknown sound recordings of Li’s own voice, mixed with field recordings from the location and original music, improvised by Steve Beresford. It explores the rythym, textures and sound of the Cumbrian landscape that inspired Li. Speech Acts is curated by Hammad Nasar with Kate Jesson.